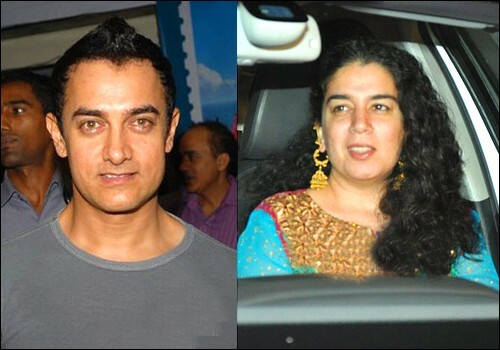 Aamir Khan and Reena: They married on April 18, 1986 and have two children Junaid and Aira. His marriage was on the rocks since 2001 and had been living separately. He filed for divorce on mutual December 9, 2002. The reason for the divorce, as given to the court was a temperamental difference ", but the media is rumored that this divorce was the result of alleged affinity Chahta Hai Dil Amir to co-star Preity Zinta. Keeping their differences one hand, Reena had been actively a part of the work of post-production Lagaan. The court ruled that the custody order in favor of Reena, but Amir is allowed to meet with them three times a week. Amir Khan is currently married with Kiran Rao.